A couple of weeks ago, 49ers General Manager Trent Baalke said that he was okay with Randy Moss missing the start of the teams’ workouts because he knew Moss would be there long before anything mandatory got underway. Baalke was proven correct on Monday when Moss showed up for workouts. It was the first day of what the 49ers are calling “Football School” when they have players focusing on techniques and fundamentals specific to their positions with coaches allowed to work with them on the field. Moss told the 49ers website what it felt like to be back out on the football field after such a long layoff. “It was eye-opening,” Moss said. “Today was the first day and we were moving so fast. Today felt like we’d been out here for a week or two.” And as for how Moss looked in his first team workout in more than a year? “He looked good. He looked really, really good,” tackle Joe Staley said. “Obviously super fast. My first impressions of him are very positive. I think he’s going to be a great addition to the team. I’m excited to work with him. I think he’s got a ton of talent.” The addition of A.J. Jenkins in the first round of the draft makes the 49ers’ depth chart a bit more crowded at receiver, but if Moss proves he’s in shape and able to make plays downfield there’s a good chance he’ll find a place on the final roster. The Green Bay Packers filled the Matt Flynn-sized hole on the quarterback depth chart by selecting Tennessee-Chattanooga quarterback B.J. Coleman in the seventh round of the 2012 NFL Draft. With only Coleman, Graham Harrell and Nick Hill on the roster behind Aaron Rodgers, one might think the Packers would look to add a veteran to the roster. Not necessarily, says Packers head coach Mike McCarthy. "I don't think you just say, 'Hey, I need a veteran backup,' " McCarthy said according to Bob McGinn of the Milwaukee Journal-Sentinel. "We have the MVP in Aaron Rodgers as our No. 1, and I feel like we have really three candidates to compete for two spots or possibly three. "The roster will shake that out. It's our job as coaches to make sure they're trained and they're ready to go, regardless of how many years of experience they have." Of 1,033 plays last season, Rodgers played 919 snaps (88.96 percent) with Flynn playing 113 (10.94 percent) and was without a quarterback for one play. 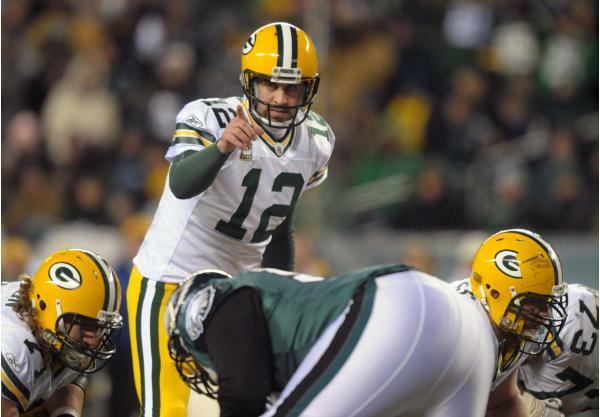 Rodgers' playing time likely would have been higher had the Packers not clinched the NFC North and homefield advantage throughout the playoffs before Week 17, so a veteran backup is not necessarily a pressing need right now. But if Harrell, Coleman and Hill do not earn McCarthy's trust during training camp, adding a veteran could be on the to-do list before the start of the regular season. The Washington Redskins have released veteran quarterback John Beck, Michael Lombardi of the NFL Network reports. Beck became expendable when the Redskins used a fourth round pick, the 102nd pick overall, on Michigan State quarterback Kirk Cousins, who will complete with Rex Grossman for the backup job behind Robert Griffin III. 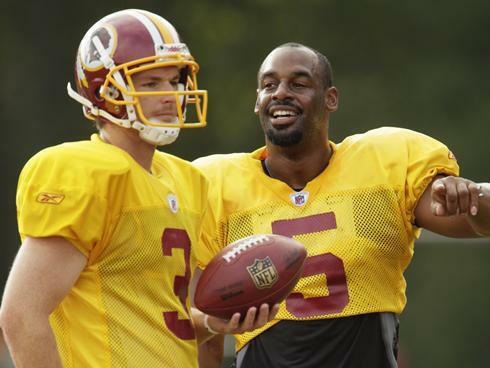 Beck, 30, started three games for the Redskins in 2011, completing 80-of-132 pass attempts for 858 yards with two touchdowns and four interceptions before he was replaced by Grossman in the huddle. Beck was scheduled to earn a $1 million base salary with a $350,000 roster bonus in 2012, the final year of his two-year, $3.518 million contract extension from 2010. During a press conference to wrap up a Day One of the 2012 NFL Draft that saw the Cleveland Browns select running back Trent Richardson fourth overall and quarterback Brandon Weeden with the 22nd pick, general manager Tom Heckert admitted that the team will be discussing the possibility of trading third-year quarterback Colt McCoy. "It's something we'll talk about tonight and tomorrow," Heckert said via the Cleveland Plain-Dealer. A 2010 third round pick out of Texas, McCoy has started 21 games for the Browns over the previous two seasons, completing 400-of-685 pass attempts for 4,309 yards with 20 touchdowns and 20 interceptions. The selection of Weeden could cause McCoy to push for a trade as the Brows had publicly committed to McCoy as their quarterback and, according to ESPN's Adam Schefter, told McCoy that they were not going to take a quarterback in the first round of the 2012 NFL Draft. McCoy missed the final three games of the 2011 season with a concussion, but is expected to recover and has two seasons remaining on his rookie contract. The Browns could do quite well in a trade for McCoy, as he's still just 24-year-old, already has over a seasons' worth of starting experience and will make the league minimum in 2012 ($540,000) and 2013 ($630,000), though next year's salary could rise through playing-time or performance incentives. 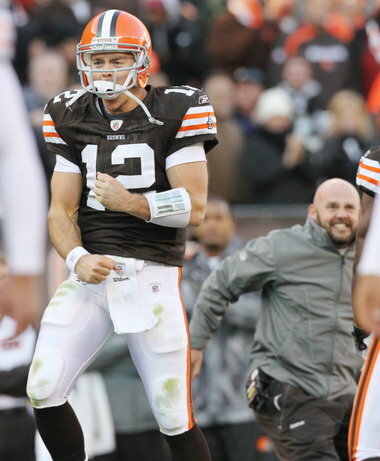 Weeden, who'll turn 29 in October, pursued a professional baseball career before landing at Oklahoma State in 2007. In 30 games for the Cowboys, Weeden completed 766-of-1,102 pass attempts for 9,260 yards with 75 touchdowns and just 27 interceptions. St. Louis Rams head coach Jeff Fisher has squashed rumors circulating that the club was shopping veteran running back Steven Jackson, reports Jim Thomas of the St. Louis Post-Dispatch. "We talk about the potential ways of improving the roster, but his name has not been floated out there and I don't know where it's coming from," Fisher said Wednesday. 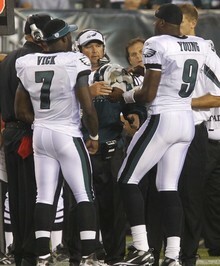 "There were some rumors back when we did the trade with the Redskins that Sam (Bradford)'s name was floated out there. People were just trying to create some excitement." Over the last eight seasons, Jackson has rushed for franchise record 9,093 yards and 52 touchdowns, six behind Faulk's franchise mark, and is working on a streak of seven consecutive 1,000 rushing yard seasons. Jackson has added 369 receptions for 3,003 yards and eight touchdowns out of the backfield and is signed through the 2013 season with base salaries of $7 million each season. "Steven is here. He's in the off-season program," Fisher added. "He's upstairs (with the coaches) every other day. He's doing great, having fun learning the offense. No discussion, conversation, or anything along that sort to my knowledge." 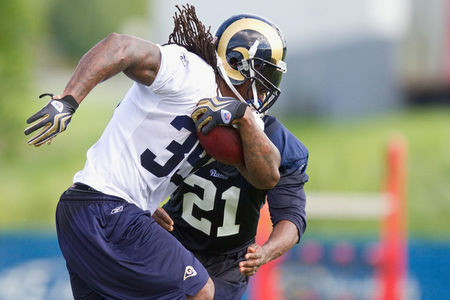 The Rams have been linked to Alabama running back Trent Richardson,before being selected in last night's draft. 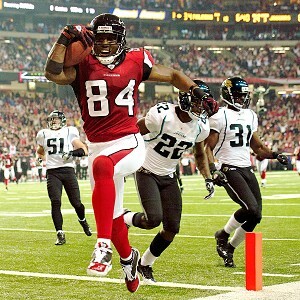 A proposed trade that will send cornerback Asante Samuel from the Philadelphia Eagles to the Atlanta Falcons moved one step closer to completion on Wednesday afternoon with Samuel agreeing to terms on a three-year, $18.5 million contract with the Falcons, Jeff McLane of the Philadelphia Inquirer reports. Samuel had two years and $21.5 million remaining on his current contract, including a $9.9 million base salary and $100,000 workout bonus in 2012. Adding Samuel without a revised contract was not possible, as they were just $1.656 million under their adjusted cap number of $125.423 million for the 2012 season. It's a big week in the life of Andrew Luck, who will be the No. 1 draft pick, but it won't be 100 percent pleasant. Amidst the pre-draft publicity tour, the draft night celebration and all the upcoming press obligations in Indianapolis, he'll also have to worry about a lawsuit. He's being sued by Leaf Trading Cards. 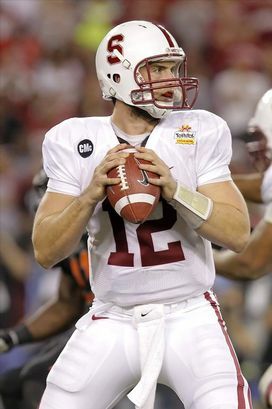 The Leaf people produced a few Andrew Luck cards, using a picture of him at the 2008 U.S. Army All-American Bowl, a high school All-Star game. Luck's people sent them a cease-and-desist letter, saying that they don't have the legal right to profit from an image of Luck. The Leaf people say they do indeed have the right to use images from the All-American Bowl. Now they're suing Luck. "Leaf Trading Cards is disappointed that it was forced to submit this matter to the judicial system," lawyer O. Luke Davis, III said in a press release. "We are confident, however, that the court will find that Leaf has the right to produce and sell the Andrew Luck trading cards." I still don't get why they're suing Luck. Couldn't they just ignore the cease-and-desist and keep doing what they're doing, and if they eventually have to defend themselves from a Luck lawsuit, then just do that? Isn't that how this typically works? If anything, I think Andrew Luck should sue them for putting his name in the same sentence as "Leaf" so close to the NFL draft. Perhaps it's the case that the Leaf people saw an opportunity to get their name in the newspaper and pounced on it. There's more than one way to make money off of Andrew Luck's name, I guess. One just hopes that they pay closer attention to their spelling in their legal documents than they do with their trading cards. Oof. That's embarrassing. Call more attention to that, Leaf Company. Free agent safety Brian Dawkins announced over Twitter that he is retiring from the National Football League. "The Lord has blessed me to play in the NFL for 16 years. I would like to thank the Eagles & the Broncos 4 believing In me. I would like 2 thank all my teammates & Coaches that I have been blessed 2 go to battle with. Along with u, the fans 4 helping make my career 1 that i have enjoyed tremendously. In other words. I am announcing my retirement from the NFL. 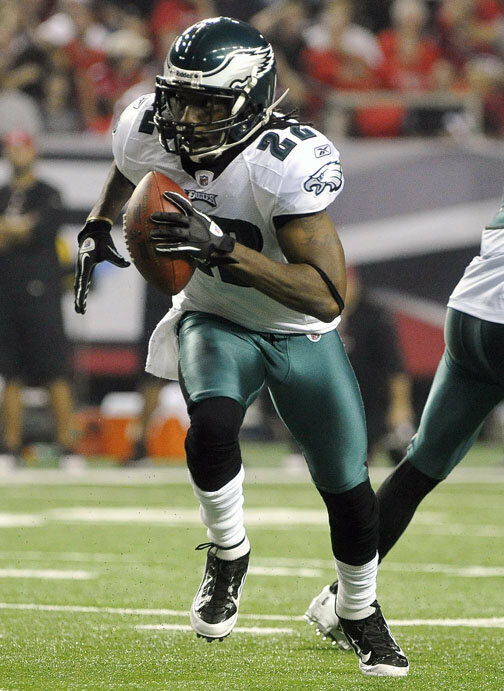 A second round pick out of Clemson by the Philadelphia Eagles in 1996, Dawkins spent 13 seasons in Philadelphia, where he was a six-time Pro Bowler, a member of the team's 75th Anniversary club and ranks second on the franchise's all-time regular season games played list with 183, six behind kicker David Akers. Dawkins is tied for first place on the Eagles' all-time interceptions list (34) and he recorded 21 sacks while with the Eagles, joining the NFL's exclusive 20 sack/20 interception club in 2008. 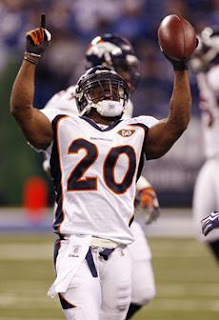 Dawkins signed with the Denver Broncos in 2009, recording 243 tackles, five sacks and three interceptions in 41 games. Dawkins went to three more Pro Bowls while with the Broncos, giving him nine for what should be a Hall of Fame career. The 38-year-old had been an unrestricted free agent this off-season. According to Jeff McLane of the Philadelphia Inquirer, Dawkins has a standing offer to retire with the Eagles. Detroit Lions running back Jahvid Best was not limited during the first week of the team's off-season workout program, head coach Jim Schwartz said according to Carlos Monarrez of the Detroit News. "He's doing the same things everybody else is doing," Schwartz said of Best. Best finished 2011 on injured reserve following a second concussion of the league year. The 2010 first round pick out of Cal has been working out on his own since December, so it's not surprising that he was able to participate in "Phase One" of the program, which limits workouts to strength and conditioning and rehabilitation for the first two weeks, with quarterbacks and receivers able to work against air on the practice field. Best has yet to be cleared to resume his playing career and could limited when "Phase Two" begins in a few weeks. That three-week period consists of limited on-field work with coaches, including positional and offense/defense only drills. Falcons Decline To Appear On HBO's "Hard Knocks"
The Atlanta Falcons have declined an opportunity to appear in this year's edition of the HBO series "Hard Knocks", Pat Yasinskas of ESPN.com reports. HBO has approached the Falcons several times over the last few seasons and general manager Thomas Dimitroff has had an open mind about appearing on the program. According to Yasinskas, the primary reason the Falcons declined the invitation to have their 2012 training camp featured on the popular program was a preference to have the focus be on their on-field product. 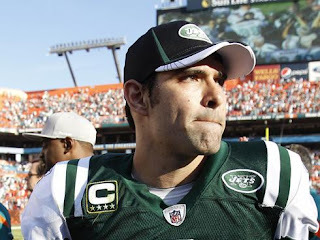 The New York Jets, who were featured in the most recent edition (2010), are on the record as having interest in making a return appearance and the Jacksonville Jaguars are also interested in showcasing their club this summer. "We did express interest, and at this point we don’t know what HBO’s plans are," Jaguars spokesman Dan Edwards told Tania Ganguli of the Florida Times-Union earlier this month. Adam Schein of FOXSports.com reported the Denver Broncos were offered the role, but declined, and that HBO is considering following both the San Francisco 49ers and Baltimore Ravens, with the Harbaugh brothers being a main storyline. The Patriots hosted free agent running backs Tim Hightower and Ryan Grant at their club facility on Friday. Hightower and Grant aren’t the only veteran backs on whom New England is kicking the tires. Shalise Manza Young of the Boston Globe reports that the Patriots have also hosted former Colts running back Joseph Addai. 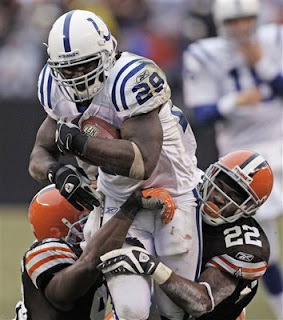 Addai was released by Indianapolis on March 9. While he offers little in the way of playmaking ability, Addai has long been an effective pass protector, receiver, and short-yardage runner. He could fit into a rotation in New England, playing primarily on passing downs. Buried in a scouting report on QB Robert Griffin III (via the Milwaukee Journal Sentinel), there is a comment from a league scout on the Baylor product that comes off as negative. I’ve written before that I would love to coach Griffin. Sure, that is based on talent and what I have seen of the QB in game situations. But the idea of the RGIII being “selfish” doesn’t impact that at all. I would tell any prospect that is heading into the NFL next season to show up with a swagger and even some arrogance if they want to survive. Those vets—the experienced vets—will take care of the rest. They will introduce each and every rookie to the NFL. Part of the process of being a rook, starting at the bottom and experiencing the daily adversity of competing vs. paid professionals. Griffin is no different. He will come into camp this summer in Washington and experience some humbling days on the field. And that will continue throughout the preseason games and into the regular season. He won’t be perfect. In fact, no one should expect him to be. However, if he doesn’t have that swagger when he shows up, he won’t succeed. And after months of looking for negatives in the top prospects, this doesn’t impact my opinion on RGIII at all. 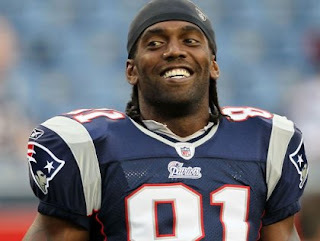 After a year out of football, wide receiver Randy Moss signed a one-year, $2.5 million contract with the San Francisco 49ers on March 13. That contract does not include a workout bonus and Moss is not present start of the team's voluntary workouts, instead the six-time Pro Bowler is working out and spending time with his family in his native West Virginia. 49ers head coach Jim Harbaugh actually suggested Moss stay away from the start of the program, Matthew Barrows of The Sacramento Bee reports. "He's got them to take care of and I understand that," Harbaugh said on Wednesday. "He can work out there just as easy as he can work out here over these two weeks." Moss is expected to report to the program on April 30, when Phase Two of the program is expected to begin. That three-week period consists of limited on-field work with coaches where individual drills and offense or defense only drills are allowed. The Oakland Raiders announced that they have re-signed veteran safety Matt Giordano to an undisclosed contract. A native of Fresno who played his college ball at Cal, Giordano started nine of 15 games for the Raiders in 2011, totaling 70 tackles, one sack and a career-high five interceptions while playing in nearly 75 percent of the team's defensive snaps. 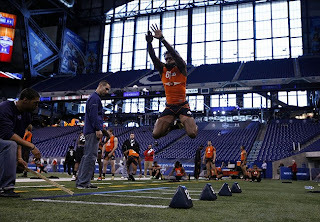 Giordano entered the NFL with the Indianapolis Colts, who selected him in the fourth round of the 2005 NFL Draft. Giordano has 155 tackles, one sack and eight interceptions in his 84-game career with the Colts, Green Bay Packers (2009), New Orleans Saints (2010) and Raiders. Oakland restructured the contract of safety Michael Huff and used the franchise tag on Tyvon Branch, who are expected to start next season. Giordano adds veteran depth behind those two starters and will be counted to be a key contributor on special teams. While attending a Yankees game on Friday, Steelers quarterback Ben Roethlisberger said that the “feels bad” for “the Sanchez” because fans will be cheering for backup quarterback Tim Tebow during the first game of the 2012 season. New York fans attending Sunday’s game at Yankees Stadium got a chance to chime in. Though we won’t know what the fans at MetLife Stadium will do until they assemble for a Jets game and Tebow trots onto the field, it’s safe to say that Tebow won’t be hearing many cheers if/when he starts burning worms and/or putting balls in the front row. 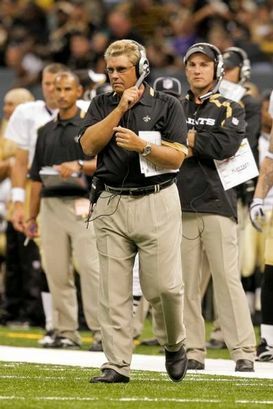 Documentary filmmaker Sean Pamphilon caused a stir ten days ago when he released an audio recording of former Saints defensive coordinator Gregg Williams urging his players to injure the 49ers prior to their NFC playoff game. What Pamphilon hasn’t done is release everything he recorded behind the scenes with the Saints. But that’s what the NFL is asking him to do. Pamphilon told Michael Silver of Yahoo! Sports that the league office has been in touch and wants to get a complete look at anything that can shed light on the Saints bounty scandal. “NFL security called four times on Friday. They want the Gregg Williams tapes,” Pamphilon told Silver. Pamphilon also said he wants “Roger Goodell to answer real questions first.” It’s not clear exactly what Pamphilon means by that, but if he means that he wants to be the one to ask those “real questions” to Goodell, that’s a request that may bolster those who think Pamphilon inserted himself into the bounty story for self-serving reasons. Pamphilon added that he has copies of tapes “in several locations.” It remains to be seen whether the NFL’s security office will be one of those locations that houses Pamphilon’s tapes in the future. When last we heard from Steelers quarterback Ben Roethlisberger, he was explaining that an extended European golf vacation will somehow help him get ready for the NFL season. Speaking from Yankee Stadium, where dodging foul balls could, in theory, prepare him to avoid the meat hooks of defensive linemen, Roethlisberger says that he feels bad for the starting quarterback of one of the teams that carries the “New York” name. Not the one who won his second Super Bowl in February. The one who could be losing his job to Tim Tebow. Yes, he said “the Sanchez.” Maybe it’s like “the Iraq.” Such as. But if the Jets thought the man to whom Ryan previously referred as “Sanchize” really is a franchise quarterback, Tebow would be wearing teal right now. Besides, Ben would be wise to keep his hat-stretching head low on this one. After all, Tebow beat Roethlisberger and the Steelers in the playoffs. When Sanchez had the chance, he failed. Over the last two seasons, quarterback Vince Young has gone from being a two-time Pro Bowler for the Tennessee Titans, to backup quarterback on the Philadelphia Eagles to an unsigned free agent over a month into the signing period. During an appearance on KILT in his hometown of Houston, Texas, the former third overall pick of the 2006 NFL Draft was asked if he still envisions himself as a starting quarterback in the National Football League. "Yeah definitely," Young said according to Chris Fedor of Sports Radio Interviews. "Always want to go in and compete for the starting job and the things that I put myself through to get better and better and to better myself as a quarterback, just waiting on that opportunity to get the chance to do that." Young did start three games for an injured Michael Vick last season, completing 57.9 percent of 114 pass attempts for 866 yards with four touchdowns and nine interceptions. Young has yet to take a free agent visit, but says a few teams are interested, though nothing is expected to happen until after the draft. "We have a couple of teams with interest right now and I’m just sitting back and waiting and letting my agent, Tom Condon, do his work," said Young. "Pretty much just waiting till after the draft with the new CBA rule, all the different cap rules and things like that, just looking for the best opportunity for myself, my family and for me to go out and compete for a starting job." The emergence of DeMarco Murray last season could spell the end of Felix Jones‘ run in Dallas. Calvin Watkins of ESPNDallas.com reports that the Cowboys have had internal discussions about trading Jones and that it “wouldn’t surprise anyone” if he’s let go should the Cowboys take a runner in the middle rounds of the draft to serve as Murray’s complement next season. Jones entered last season with hopes of being the Cowboys’ featured runner, but injuries limited him to 12 games and 575 yards. It didn’t help Jones that Murray burst on the scene when given an opportunity thanks to Jones’ injury. Given a chance to start in Week Five thanks to Jones’ sprained ankle, Murray set a single-game Cowboys record with 253 yards and had the second-longest touchdown run in Cowboys history when he went 91 yards for a score. Murray finished the year with 897 yards and missed the last three games with an ankle injury. His average of 5.5 yards per carry ranked second in the league among players with at least 50 carries. Jones has shown more than a few flashes of talent since joining the Cowboys as a first-round pick in 2008, but he has only been able to stay healthy for an entire season once. He’s only a year older than Murray, but 2012 is the last year of his contract and his future probably lies elsewhere if he has any designs on being the main man in a backfield. There’s no reason to disbelieve Chris Mortensen’s report that Bill Parcells won’t become the interim head coach of the Saints in 2012. Other than the fact that the subject of the report is Bill Parcells. Parcells, who played the “that’s what friends are for” card a couple of weeks ago, has a history of saying one thing and doing another. Last week, Peter King of SI.com chronicled Parcells’ various proclamations regarding the end of his coaching career after each coaching job he left. Each time, he said he was done. Each time, he came back. And so for the same reason no one believed Nick Saban when he said he’s not going to be the Alabama coach, no one should believe Parcells now. Why would he be out so quickly, less than a day after the Saints embarked on devising their post-Payton plan? It could be a simple leverage ploy by Parcells, who may have received an initial offer from the Saints that took his willingness to help a friend a little too literally. Or perhaps the Saints and Parcells realize that there would be no way to plausibly satisfy the Rooney Rule if all signs point to Parcells taking the job. Now, the Saints can interview the entire staff (which includes at least one minority assistant coach), and then pull a Tuna surprise. We’re not saying that will happen. We’re only saying that it’s important to remember Parcells’ history when considering whether the door is truly closed. Tim Tebow’s arrival in New York means that Cardinal Timothy Dolan can no longer think of himself as the city’s most influential Christian leader. 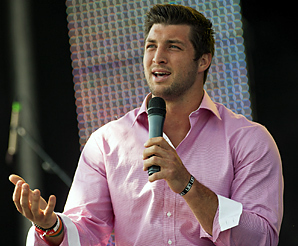 At Dolan’s Easter sermon on Sunday, he noted that far more people would turn out to hear Tebow preach. Dolan’s estimate of the crowd Tebow drew to his “Easter on the Hill” event was 10,000 more than what the Associated Press estimated, but regardless, Tebow may have been the preacher more Americans turned to than any other this Easter Sunday. Initial estimates put the crowd for Tim Tebow’s Easter sermon at 30,000. To the extent that a loaves-and-fishes-style miracle was required to feed everyone who attended the open-air “Easter on the Hill” event, they needed half of what they anticipated. 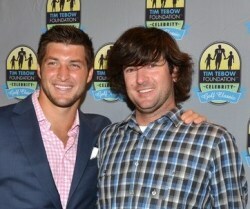 According to the Associated Press, only 15,000 actually showed up to hear Tebow speak. Tebow said he embraces the attention that comes from his open display of religious beliefs, including his “Tebowing” prayer stance. The fact remains that Tebow is a force of nature, whether 15,000 or 30,000 or 300,000 come to hear him speak in person. Though a little subtlety and nuance could actually enhance his impact, the open display of his beliefs and his youthful, cheerful, arguably naive disposition will keep him among the most popular players in the NFL, regardless of the extent to which he actually plays (or plays well) in NFL games. It’s now known that the Redskins plan multiple weekly on-campus meetings with Baylor quarterback Robert Griffin III between now and the draft. PFT also has confirmed that the Redskins plan to do the same thing with Stanford quarterback Andrew Luck. Redskins G.M. Bruce Allen hinted at this reality in recent comments to Albert Breer of NFL Network. “In the coming weeks, we will be visiting some other colleges,” Allen said. As one league source explained it to PFT, the Redskins had no choice but to schedule visits with Luck. If it appears that the Redskins prefer Griffin over Luck (and we consistently have heard that the Redskins do), always-unpredictable Colts owner Jim Irsay could be nudged toward taking Griffin over Luck. Unlikely as it may seem, Irsay didn’t want to see Peyton Manning go to another team in the way that Irsay’s father, Robert, allowed John Unitas to finish his career elsewhere. The younger Irsay likewise may not want to be strong-armed into not using the first overall pick on the player whom he chooses, in the way that Irsay’s father, Robert, was strong-armed into not picking John Elway. The irony is that it’s Griffin and not Luck who could be doing the strong arming. Although Griffin prefers Washington and Washington prefers Griffin, Griffin isn’t expected to refuse to sign with the Colts or otherwise make an overt power play. Given that the new rookie wage scale would allow the Colts to negotiate a contract with Luck in literally five minutes, the Redskins and Griffin and Luck will be left to wonder what’s going on until Irsay decides to let the world know. Even if Irsay already plans to take Luck, don’t be surprised if he milks the situation for all the media attention it’s worth, holding the decision as long as he can. Sean Pamphilon, the documentary maker who taped Gregg Williams’ pregame speech in which he urged players to hurt members of the San Francisco 49ers, has released a statement. Pamphilon was given access to the meeting in the team hotel the night before the NFC playoff game because he was working on a project for Steve Gleason, the former Saints special teams standout who is stricken with ALS. “If this story hadn't broken and been made public, I would not have shared this it. I would not have compromised my personal relationships and risked damaging Steve Gleason's relationship with the Saints. I would have crafted these words and sentiments for another forum, perhaps years down the road. "If it weren't for the fact I feel deeply that parents of children playing football MUST pay attention to the influence of men who will sacrifice their kids for W's, I would not have written this. "Some will call me releasing this audio for fame or money grab. True haters will call it exploitation. "People of character and conscience call it was it is: tru." There’s really nothing shocking in Williams’ audio tape. Did we know Williams paid players? Yes. Did we know he encouraged players to injure targets on the other team? Yes. Maybe it’s the shock value of hearing Williams’ words but when you boil it down, isn’t this what we expected? In a report that makes you double and triple-check the date, the New York Post reports that Minnesota Vikings owner Zygi Wilf is attempting to lure Bill Parcells to his team, telling him to "name his price" in order to come in and "run the show". 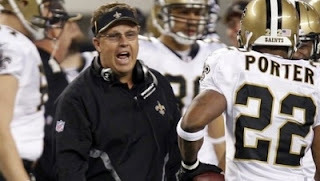 Parcells is also a possible interim coaching candidate with the New Orleans Saints, with Sean Payton looking to his former mentor to pinch-hit while Payton serves a one-year suspension for his role in the team's bounty program. The Vikings were 3-13 and finished 4th in the NFC North in 2011 under first-year head coach Leslie Frazier, who has been with the club since 2007 and was hired after serving as interim head coach following the firing of Brad Childress during the 2010 season. There are several holes that can be punched in this report, but let's begin with Parcells. The coaching legend turns 71 in August, has not patrolled an NFL sideline since 2006 and has not coached a team to a playoff win since 1998, with that win coming a month before current starting quarterback Christian Ponder turned 11. 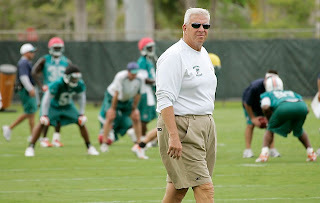 And while Parcells and Wilf may both be Jersey guys, Parcells lives in South Florida now. Is he going to give that up to spend the next few seasons in Minnesota, possibly coaching home games at TCF Bank Stadium while the team's new stadium is under construction? Parcells was also a finalist for induction to the Pro Football Hall of Fame in 2012 and returning to the sideline would start his Hall of Fame clock. Another issue with this report is the current state of the Vikings front office. Rick Spielman was recently promoted to general manager and George Paton withdrew his candidacy for the St. Louis Rams general manager position to accept a promotion to assistant general manager with the Vikings. What happens to them, and their future job prospects, once Parcells is brought in to "run the show". 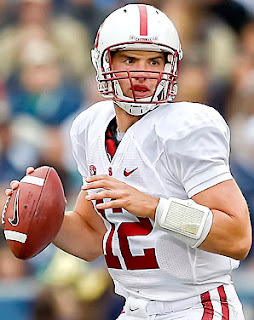 A contingent from the Indianapolis Colts are in Palo Alto, California today for a private workout with Stanford University quarterback Andrew Luck, who is expected to be the Colts' choice with the No. 1 overall pick in the 2012 NFL Draft. 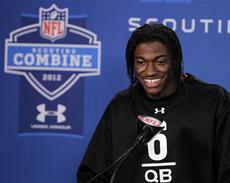 Owner Jim Irsay tweeted that the team plans to be thorough in their process of determining who to take with that pick and wanted to schedule a private workout with Baylor University quarterback Robert Griffin III, but his agent declined. To be clear, this is not a case of Griffin spurning one team. Baylor assistant athletic director Heath Nielson, who handles communications for the football program, pointed out on Twitter that Griffin will not be conducting private workouts with any team. Since all private workouts must be conducted on the player's college campus, a person in Nielson's position would certainly be aware of a prominent player like Griffin's plans for pre-draft workouts. 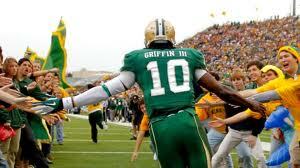 The Colts did attend Griffin's pro day on Baylor's campus on March 21 before heading to California to watch Luck work out the following day. 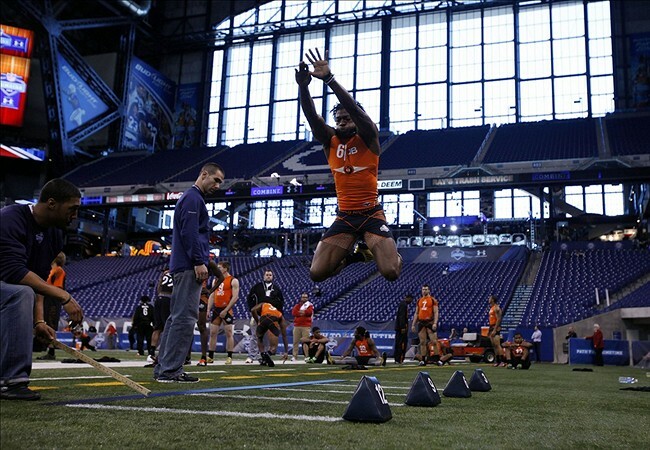 Griffin, who checked in at 6-foot-2 and 223 pounds at the Scouting Combine in Indianapolis, passed for 10,366 yards with 78 touchdowns and ran for 2,254 yards with 33 touchdowns during his 41-game career. Barring the Colts changing their minds on Luck, Griffin is expected to be selected by the Washington Redskins with the No. 2 pick. A year ago, quarterback guru George Whitfield tutored Cam Newton and prepared him for the pre-draft workouts that helped establish him as the top player in the draft. This year, Whitfield is very confident that he’s again working with the draft’s top player. In fact, in an Indianapolis Star column that seeks to debunk any talk that the Colts might surprise people and pick Robert Griffin III first overall, Whitfield says that his prized pupil, Andrew Luck, is the kind of talent that an NFL team would long regret passing on. “If they over-think this, they’re going to make a mistake they’ll regret for years,” Whitfield said. Some draft analyst view Luck as the safer bet but Griffin as the player with the higher upside. Whitfield doesn’t think upsides get much higher than Luck’s. Although plenty of observers disagree with Whitfield and think Griffin is the better prospect, from all indications none of those observers are in the Colts’ front office. The Colts aren’t going to make that decision that Luck’s quarterback tutor thinks they’d regret. In an interview with ESPN 1050 in New York, Tim Tebow said he is "not sure" if he will be a starting quarterback again in the NFL. 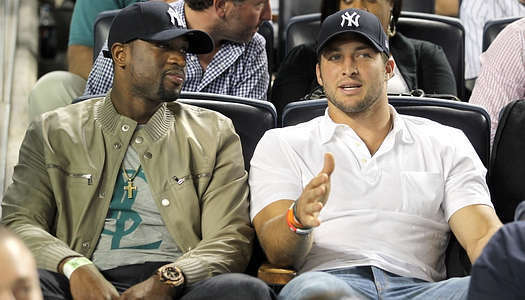 Tebow, acquired by the New York Jets from the Denver Broncos, said that is really not his focus right now. 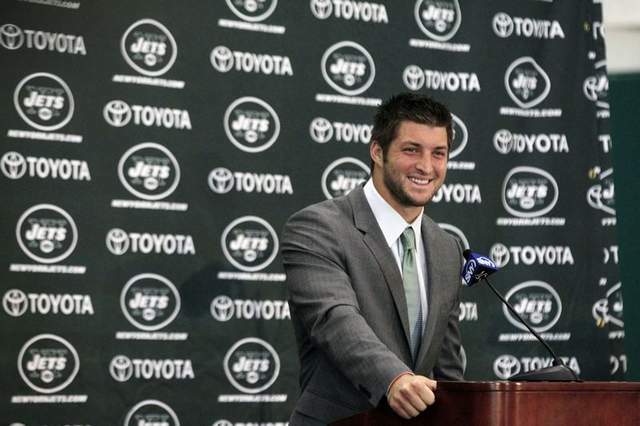 "I don't know what the future holds, but I know who holds my future," Tebow said. "That's something that has always given me peace and comfort. That's why I don't have to worry about the future. I can just worry about today and worry about becoming better as a football player and a person." Tebow also said he respected cornerback Antonio Cromartie, who on Twitter was critical of the Jets' pursuit of Tebow before the trade went down. Tebow said Cromartie was simply defending current Jets starter Mark Sanchez.